Why is looking for a new area difficult? If you want to move to a new home close to where you already live, there is little to decide. But if you want to move to a different part of town, or across the country, then deciding the area is more difficult. It can take time to get to know an area well enough to know whether you would like to live there, and many of the issues will not be apparent from just visiting. 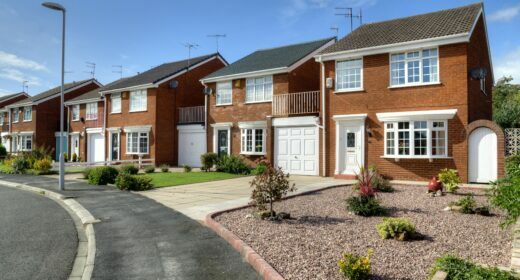 The UK housing market is highly localised, and only by thoroughly researching individual areas and streets can you ensure you don’t make a mistake, and confidently make the snap decision needed to put in a bid quickly if lots of people are interested in your chosen property. First of all, you need to choose an area where you can afford to live in the sort of property you want to live in. If you want a whole house and don’t have £3m, don’t look at Chelsea. Decide roughly how much you want to spend (see How much can I afford? ), and then look on property websites to see what you can get for that amount in different areas. To state the obvious, city centres tend to be more expensive than the countryside; the South tends to be more expensive than the North; and London is obviously much more expensive than pretty much anywhere else – more than three times as expensive as the North East of England or Wales. Another measure of the affordability of an area is the house price to earnings ratio – ie how much houses cost compared to average earnings in that area. In lower cost areas people tend to earn less, which evens out the comparative affordability of housing around the country. London is still the most expensive area, but not by as big a margin. What is the minimum number of bedrooms you would consider? Do you want your own front door, or are you happy with a conversion flat? Then spend your evenings cruising property websites to find out if the areas you are interested in have the sort of properties you want at a price you can afford. Do you want to be in a happening place, with lots of life? Do you want to be somewhere more rural? Do you relish a laidback lifestyle or will you get bored? Do want to be able to walk to the shops, or are you happy having to get in a car to get a pint of milk? How long will it take to get to work? How close do you want to be to your parents, family, and friends? Are there community groups around? Sports teams, amateur dramatics, gardening – can you get an allotment? Check out the crime, schools, transport links and council tax rates. If you are already employed, where will you work? What happens if you decide to leave your current job, or if your company goes bust? Ensure you leave room for career flexibility. Don’t move to a one-industry town if you are about to leave the industry. Ambitious people may require access to larger centres of employment and job markets. If you are moving from the city to the countryside, consider that you may want to adapt your work-life balance or spend more time with your kids, all of which might require employment opportunities closer to home. Spend days wandering the area you are interested in. You will probably spend years there – it is really worth investing time to make sure you are happy where you end up. Can you feel yourself living there? What does the local paper tell you? How old or young, affluent or poor is the area? Are there lots of kids running around? Do you like that? Where is the farmer’s manure or silage pit located? Is it going to stink out your garden? It is better to rent somewhere in a village and find you can’t stand village life, than buying and selling in distress a couple of years later. Unless you plan to move again in a couple of years, take the long term view. Those in the first half of their careers will hopefully earn more money each year, enabling you to grow into areas (and take on properties) that at first seem expensive. But do be realistic about your future earnings! Do you have kids – or are planning to have them? Is there lots of playing space? Once you have chosen a rough area, drill down – life can vary dramatically street by street, or village by village. Get chatting to the estate agents – they usually have really good insider information about the local variations. How does this village measure up to another nearby? How far are the good schools – are you prepared to drive that twice a day? And how long would it take you to get to work? Are you near a train station? Are you a gym fiend – if so, is there a gym nearby, or will you buy equipment? How long does it take to buy and sell a home? Thanks for this awesome website. I wish I had it a year ago when I decided to buy and not to rent! !